Black Insurance, a digital insurance company on blockchain, is opening historically centralized insurance market for crowdfunding. Crowdfunded capital gives retail-investors first-of-a-kind investment opportunities to invest in stable insurance portfolios with long-term financial profits that so far have been shared among insurance companies and re-insurers. The tokenized process allows cryptocurrency market to participate as well. Black digital insurance platform is connecting brokers directly with capital, replacing the parties that are not needed in the value chain with technology. “The leaner model gives more responsibilities to insurance brokers and control over the products they are selling. Insurers as we know them today are simply a trusted third party – blockchain gives us an alternative to that and the need for insurers disappears,“ says Risto Rossar, the founder of Black Insurance. Compared to the very strict and closed insurance industry today, Black will give way in for new entrepreneurs with innovative ideas that normally would not have a way to launch their insurance product. „This enables insurance brokers to correspond to market needs and offer end-users more flexible and optimized insurance products that are rare today. On the other hand, the end-users can also now finance this innovation through participation in crowdfunding and investing in Black Syndicate“, he adds. 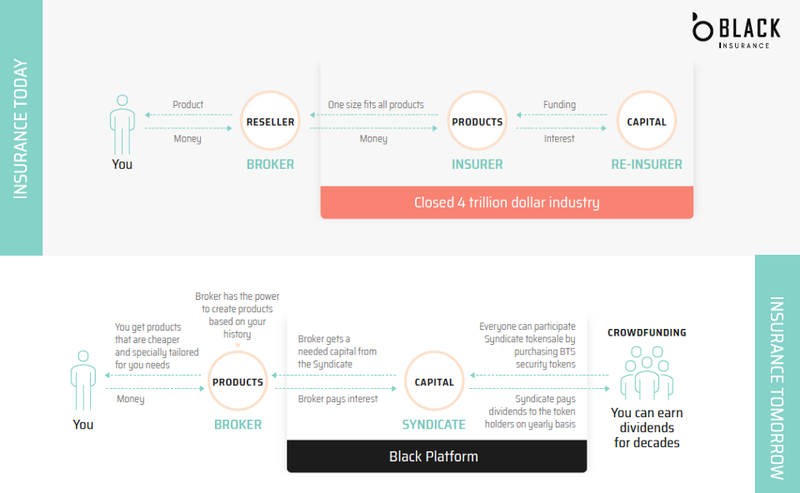 The prototype of Black Insurance platform has been already launched: https://www.black.insure/prototype/ offering brokers and investors a live glimpse of the platform. More than 50 brokers worldwide have already signed up with total gross written premiums reaching up to 325 M USD. Black Insurance will use two types of tokens: Black Platform Token (BLCK) that powers the infrastructure platform and for conducting voting on system updates to the platform (utility token) and Black Syndicate Tokens (BST) that will be issued when the platform is ready in summer 2019. BST is an investment in insurance capital and a specific BST is created for each syndicate (security token). Black Insurance is an Estonian startup building a next generation insurance platform that eliminates the need for traditional insurers. 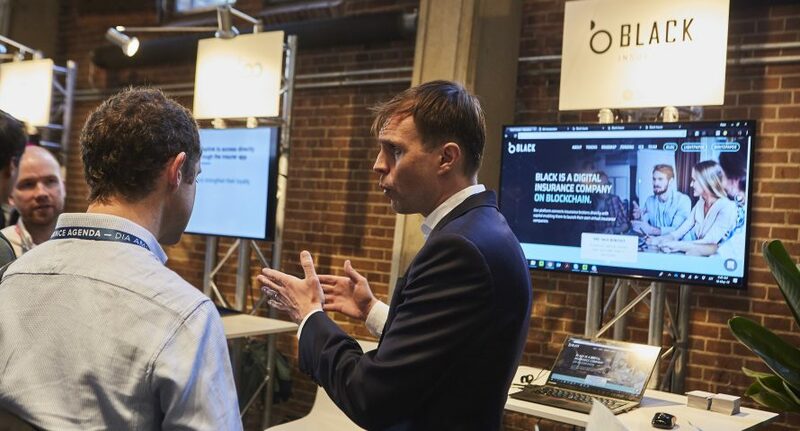 Black uses blockchains and smart contracts to bring insurance brokers and capital together, so customers can enjoy the next generation of more suitable, affordable insurance cover. Black Insurance ICO pre-sale starts on October 1, 2018. Social media: Telegram, Facebook, Reddit, Twitter, LinkedIn and Bitcointalk. This is a sponsored press release, provided by Black Insurance. Bitsonline is not responsible for the products and or services of this company and its clients. This article contains links to third-party websites. Bitsonline is not responsible for the content on those websites. « 5 REASONS TO BUY STELLAR LUMENS!